Kalamkari Sarees: Revive The Ancient Art From The Craftsvilla Collection! Kalamkari is one of the most ancient art forms in India. 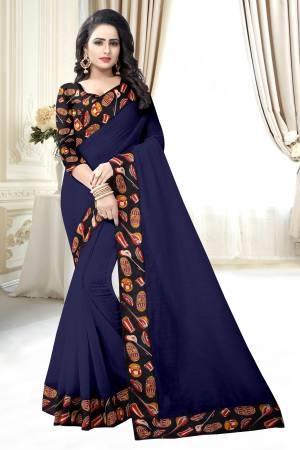 It is used to design different kinds of womens clothing as well as mens fashion but the saree is the most famous. Kalamkari can be divided into two parts to understand its exact meaning. So, kalam which means a pen and Kari which means art. So, as the name suggests, it is the art of pen drawings done on cloths with natural colors. It is one of the oldest forms of cloth paintings that has been preferred by the Indian women for ages. It has now become extremely famous in the western countries as well. The Kalamkari sarees are usually cotton or silk sarees that have bright and big depictions of them. The original Kalamkari printed sarees are handmade. However, in the modern times, most of them are printed with machines. At Craftsvilla, we have the biggest collection of some of the best Kalamkari sarees that you can buy. The craftsmen and designers have taken this ancient art and made it into this beautiful piece of clothing that can make any woman look elegant and attractive. The Kalamkari at Craftsvilla is 100% authentic, and these sarees have been designed by some of the most talented artists. So, whenever you are looking for unique Kalamkari sarees online along with blouses to match; Craftsvilla is your perfect choice. Kalamkari has an Indian as well as Persian origin. The name of the Kalamkari has been taken from the Persian texts as explained above. In the ancient times, the artists used to narrate their stories to the villagers with the help of paintings done on cloth with natural colors. These colors were made of natural dyes and flowers. In the ancient times, the Kalamkari was usually done on the cotton or silk. A tamarind pen was used to make the intricate designs. Kalamkari is not an easy form of art as it requires 23 steps of designing and dying. The art went back to 3000BC and was even used at the time of Mohenjo-Daro civilization. The painting style, however, got famous and found its actual recognition in the Mughal era. The art gained even more recognition during the 18th century while the British were ruling the country. Ever since then, the art form has changed a lot and is majorly used in making of the Kalamkari Sarees in India. The hand printed Kalamkari Sarees are costly. However, there are machine printed alternatives also available for them. In the present time, the art is mainly practiced in Andhra Pradesh by a few craftsmen. The art was losing its charm in the world because of the complicated procedures that are required in making it. However, the new Indian designers have brought back this art form by adding some modern technology to it. At Craftsvilla we have the largest collection of the original designer kalamkari sarees for our customers. The first thing to consider while buying the kalamkari saree is the fabric that is used to make it. You can either buy kalamkari cotton sarees, kalamkari silk sarees or the kalamkari crepe sarees. Each of these fabrics has their look and show. The color is the next thing that is considered in the Kalamkari sarees. It is important to note that almost all the Kalamkari sarees have bright colors and designs. So, select the color according to your preferences. There is a lot of intricate detailing and designing involved in making the kalamkari saree, hence make sure you look at the design properly before buying the perfect one for you. There can be bold and big designs as well. However, most of the work is very precise. The longevity and the usability of the saree is the next thing you need to consider. It means that you should buy a saree that you can make the most use of. Since buying a kalamkari saree is an investment in itself, so make sure that you make your investment in the right places. 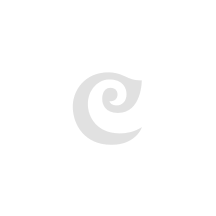 At Craftsvilla, you will find the widest variety of the Kalamkari sarees. There are lots of color choices and fabric choices for the customers to select from. The fabric choices can be silk, crape, cotton and much more. 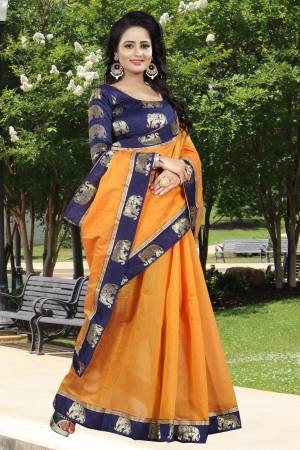 Here you can get the best kalamkari saree price that will fit your budget and will also get you the best designs in the entire market. Our collection has been specially handcrafted by some of our best designers who have teamed up with the kalamkari craftsmen and brought this ancient art to life. There are not many people aware of the Kalamkari, and the main motive is to let them know about this ancient heritage of India. Hence, Craftsvilla provides a huge collection of the kalamkari cotton sarees online. The kalamkari sarees online shopping has never been this easy. With the Craftsvilla online shopping website, anyone can buy kalamkari sarees online. These are 100% authentic and delivered to your doorstep hassle free. At Craftsvilla, we make sure to take much care of our customer’s needs. Hence we provide them with a smoother and much safer shopping experience on our website when they buy kalamkari saree online. Additionally, we also make sure that all their needs and queries are taken care of. We also have a flexible return policy so that if you do not like any of our products, you can easily return it to us. However, we also make sure that the products that we provide to our customers are 100% authentic and are priced decently. With all these services, our basic aim is to make shopping for our customers easy and hassle-free.